A group of ethnic Turkmen fighters arrived in Azaz, Syria, on Monday afternoon to launch the first phase of a joint U.S.-Turkish initiative to establish an Islamic State group-free "safe zone" in the country, two soldiers fighting in northern Syria told International Business Times via Skype. 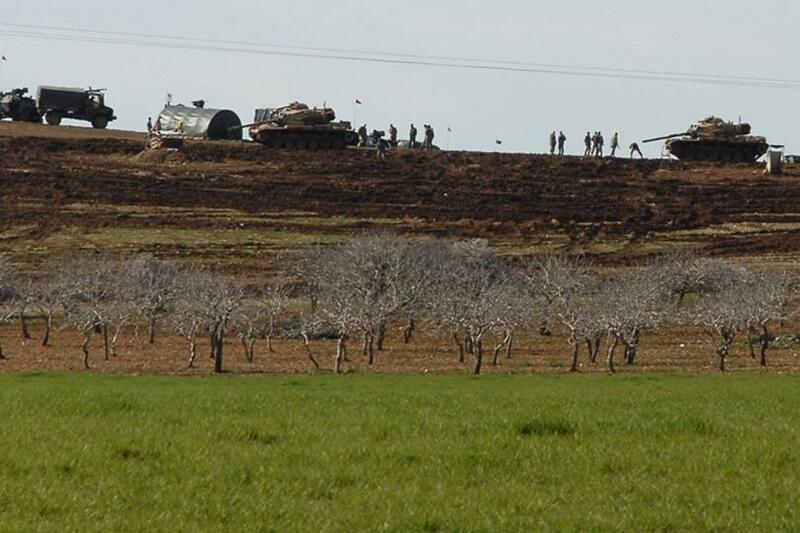 Tanks carrying the fighters entered through the Bab al-Salama border, crossing from southeastern Turkey into the town of Azaz, Syria, setting off a wave of attacks by the Islamic State militant group, also known as ISIS or ISIL, in the town of Marea, which forced the al-Qaeda extremist group Jabhat al-Nusra to retreat. "At first everyone thought the tanks were filled with Turkish soldiers, but it was the Turkmen," one of the rebel fighters said. The soldiers, interviewed Tuesday by IBTimes, were trained in Turkey and are in one of the biggest moderate-opposition rebel coalitions in the country. They spoke on condition of anonymity because they are in combat. Shifting alliances among rebel groups in the country have left them fearing retribution if they identified themselves on the record. One of the soldiers, a commander, recently attended talks with the Turkish government in the capital city of Ankara regarding the Turkish-U.S. plan to create a safe zone in the northern part of the country. Turkmen fighters entering Syria is a significant new development in the war against ISIS, because it shows that the U.S. and Turkey are going to rely on them, instead of other moderate Syrian rebels, to ensure the militant group does not re-enter the area. Both soldiers told IBTimes the Turkmen fighters were the first group tapped by the U.S. and Turkey to lead the military operation to create a safe zone in northern Syria. The so-called safe zone requires Turkish and American air forces to bomb ISIS militants to rout them from their posts along the border. The zone, which extends 25 miles into Turkey, would effectively rid the area of ISIS and permit entry for humanitarian organizations to provide essential food and medical aid. 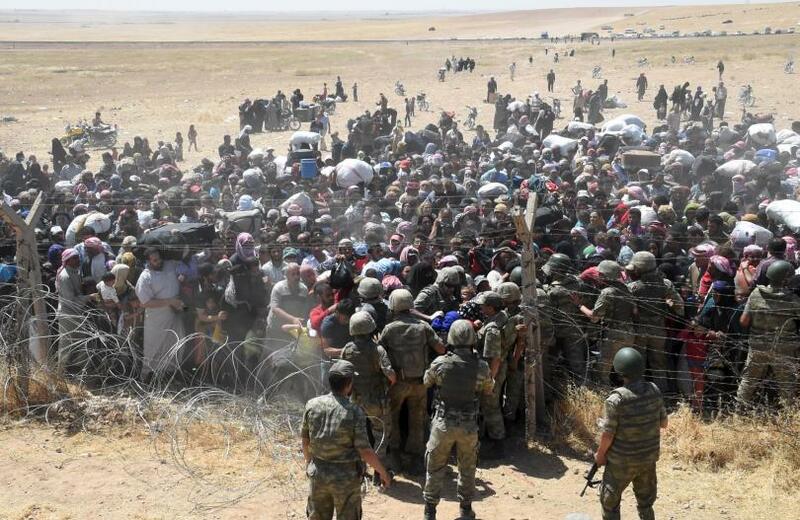 Turkish officials have said over the past few weeks that the government decided to establish the safe zone as a means of securing its border and alleviating the humanitarian crisis for Syrian refugees in Turkey. As many as 1.7 million Syrian refugees could return to their homes under the new plan, Turkish President Recep Tayyip Erdogan has said. The plan called for a select group of Syrian rebels to monitor the situation on the ground to prevent ISIS from returning. Until now, it has been unclear which Syrian rebel factions would participate on the monitoring team, but both sources interviewed said the Turkmen force, which consists of some soldiers from previously established rebel groups in nearby Aleppo, would lead the fight. Other rebel groups would follow, they said. Rebel groups in the northern part of Syria are interested in joining the team monitoring the safe zone because they see it as a chance to garner valuable cash and weapons. However, not every rebel group would be a part of that team as the rebel groups in Syria, especially in the north, are split in their allegiances to Turkey and the U.S. While many rebel leaders used to fall under one umbrella group, the Free Syrian Army, they recently separated into two groups and were duking it out for land and power. Among them are the hard-line Islamist fighters with known battlefield strength, but with an extremist Muslim ideology, as well as the more moderate groups known for their popularity among the people of Aleppo, who, while still devoutly Muslim, do not want the implementation of Shariah law, or conservative Islamic regulations, in the post-war era. Finding a rebel force with a common ideology and strategy to carry out the monitoring of the buffer zone will be difficult, rebels in Aleppo recently told IBTimes. The weapons, they said, will end up falling into the hands of groups that have different ideologies and goals. Other rebel groups are against working with the U.S. and Turkey altogether because they do not believe in the mission. Jabhat al-Nusra, the al Qaeda offshoot in the country, released a statement Monday announcing the group was withdrawing its forces from the Aleppo area, claiming it did not want to be involved in the mission. Turkish officials acknowledged the beginning of the military operation when Foreign Ministry undersecretary Feridun Sinirlioğlu said Tuesday that the U.S. and Turkey had finalized details on the safe zone. Members of the Islamic State group and Kurdish militants who try to infiltrate the safe-zone will immediately be "neutralized by both Turkish and US military forces," the statement said. Although Turkmen fighters have been seen entering Syria to establish the safe zone, no U.S. forces have taken part in the mission so far. About six U.S. F-16 fighter jets arrived Sunday at the Incirlik air base in eastern Turkey, but had not yet been deployed in airstrikes. Can iPhone average selling price trends keep driving growth for the important product segment? LG's new Vision AI will be able to recommend the best camera settings by analyzing the kind of photo the user is trying to take. Valentine's Day which is associated with St. Valentines, who according to a legend sent the first valentine greeting to a young girl via a letter in which he signed, "From your Valentine," a phrase which is widely used today. © Copyright 2018 Newsweek Media Group All Rights Reserved.